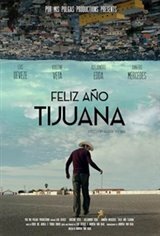 Alejandro Serna (Luis Deveze), a Chicano studies professor in the U.S., finds himself alone in Tijuana on New Year's Eve after missing his flight to his Mexican hometown of León. During a walk, he has a surprise encounter with Ana (Kristine Veta), an attractive American and one of his former students. She invites Alejandro to spend New Year's with her Mexican friends, a celebration that unleashes an overwhelming flood of emotions - some of them new and very dangerous.